Doolin is widely regarded as the home of Traditional Irish Music. 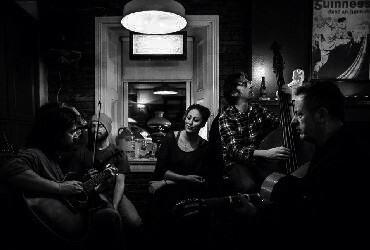 Immerse yourself in Irish culture and experience Doolin’s musical roots with year-round music sessions in all the local pubs in Doolin. A bustling village, Doolin also hosts a number of exciting events and festivals throughout the year. 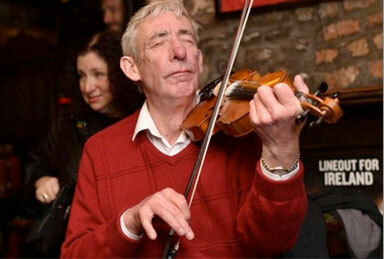 Music sessions in Doolin are a daily occurrence at Fitzpatrick’s Bar. Experience the best of folk and traditional Irish music daily this winter, with sessions taking place in the early evening and late into the night. 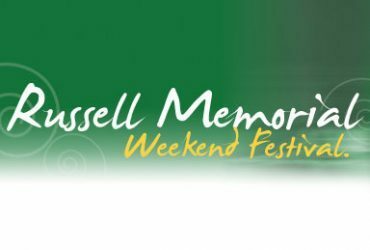 The last weekend of February every year sees Doolin remember its greatest music ambassadors the Russell brothers; Micho, Packie & Gussie. 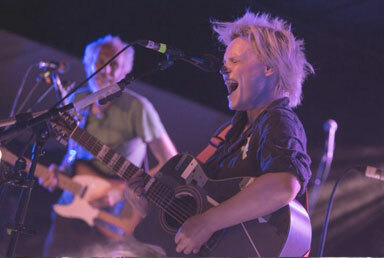 The brightest musicians descend on Doolin to attend workshops and perform. 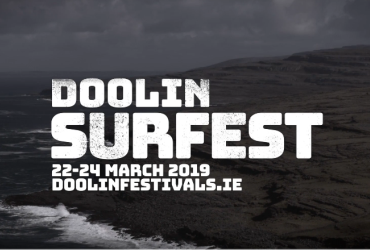 Doolin Surf Festival takes place on 22nd – 24th March 2019 and is hosted by Hotel Doolin. The festival will host film screenings, guest speakers, art exhibitions, workshops, competitions, bands and DJs, and the best of sustainable local food and hospitality. 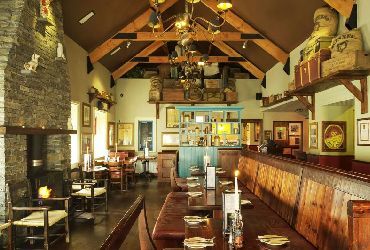 Doolin is renowned for traditional Irish Music, music sessions take place nightly across all of the bars; O’Connors, Fitzpatricks, McGanns & McDermotts. 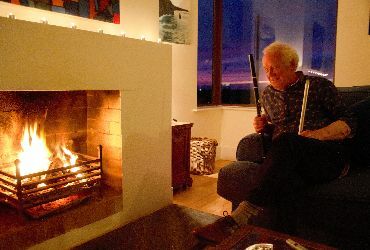 Experience traditional music in the home of Christy Barry, one of Doolin’s most celebrated musician. Music, stories, laughter, local food and the irish welcome are the ingredients to a evening which you will be guaranteed to enjoy ! 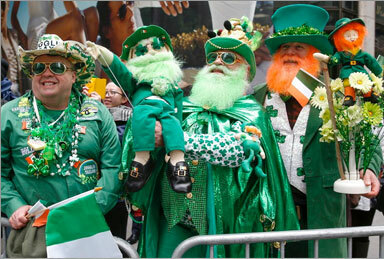 The annual St.Patricks Day parade makes its way through Doolin on the saint’s national day March 17th. It makes its way down Fisher Street, and through Doolin to Roadford and finishes up at the Russell Community Centre. 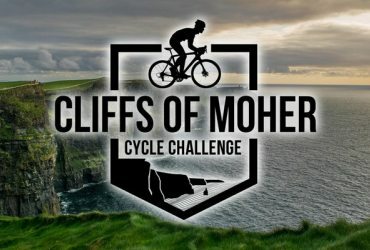 Riverside Cycling Club Ennistymon is hosting their annual charity cycle for the 7th year running, starting and finishing in Ennistymon town on Saturday, 6th April 2019 in Ennistymon. A Festival of all things Father Ted. Daytime entertainment and craic for all the family, and night-time entertainment for adults only; highlights of a bus tour with tea and cake to Father Ted house! 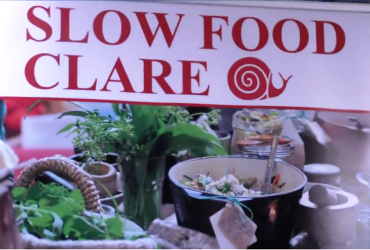 Burren Slow Food Festival returns to Lisdoonvarna this year on the 10th – 12th May. The festival theme will be “TASTE THE ATLANTIC – SEAWEED”. The Burren Food Trail features a wide variety of different food providers, producers, visitor attractions and outdoor activities. 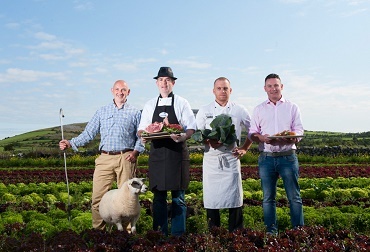 Those behind the Burren Food trail are passionate about food, growing and producing it locally for you to enjoy. Taking inspiration from the great festivals of the 70’s and 80’s such as Lisdoonvarna down the road and from the deep musical roots of the county, The Doolin Folk Festival presents powerful music in an intimate setting. 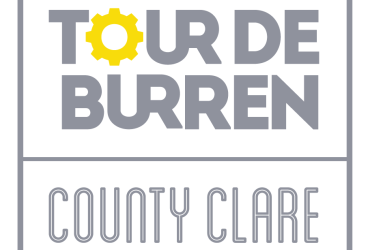 Voted by Cycling Ireland Members as the best leisure cycling event in Ireland, the annual event takes place in the picturesque village of Ballyvaughan on Saturday, 22nd June 2019. The world-famous Lisdoonvarna Matchmaking Festival returns to Lisdoonvarna each year, featuring some of the country’s top country and western music acts and much more. 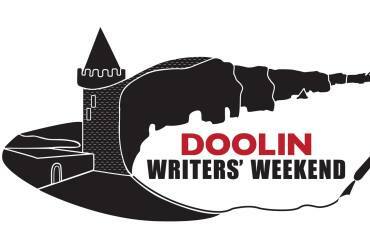 The annual Doolin Writers Weekend usually takes place on the last weekend in January. The weekend hosts a series of workshops, readings, advice from industry insiders, music sessions, open mic, and great food. 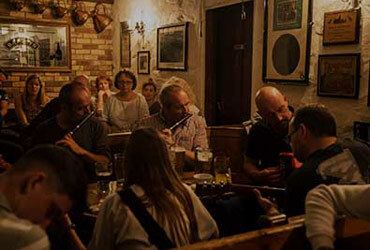 Doolin is famous for its traditional music sessions. With over 35 sessions per week in the summer it can be difficult to decide which one to attend. Here are our top picks ! Micho, Packie & Gussie Russell were three brothers from Doonagore in Doolin. They were great musicians and attracted many visitors. Fitz’s Eatery is known for its wholesome food and is popular with both residents and locals alike. Offering a calm and relaxed atmosphere you can enjoy your meal by the crackling open fire while listening to some of the finest singers & musicians in our nightly traditional Irish music sessions. Doolin is widely regarded as the home of Irish music. 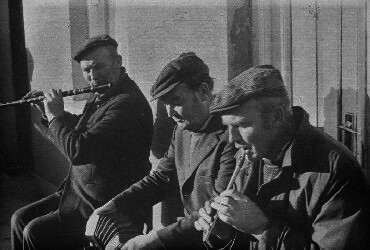 Music has always been an integral part of life in Doolin, due to its remote location, which strengthened community ties and ensured that traditions such as the Irish language, music, dancing were maintained.